APPETIZERS "Para Picar con amigos"
Shrimp, Romaine lettuce, croutons, and parmesan cheese. Served with Caesar dressing. Sliced tomato, Fresh mozzarella, fresh basil leaves, arugula and black olives. Served with olive oil and balsamic vinegar. Fresh arugula, tomatoes, red onions, feta cheese and grilled skirt steak. Served with olive oil and balsamic vinegar. Fresh romaine lettuce, fresh spinach, topped with sliced strawberries, avocado, mozzarella cheese and almonds. Served with a homemade strawberry-herbs dressing. Crispy Chicken Romaine lettuce, Corn, Carrots, tomato, hard broiled eggs, Avocado, served with Italian Dressing. Tomato sauce melted mozzarella, ham, olives, roasted peppers. Served with sunny side up eggs. tomato sauce, ham, mozzarella, tomato, oregano, and olive oil. Melted Mozzarella, spinach sauce and parmessan cheese. melted mozzarella, caramelized onions and olive oil. melted mozzarella, green olives, heart of palms, broiled eggs, red roasted peppers and salsa golf. melted mozzarella, fresh mozzarella, tomatoes and fresh basil. Cream Cheese, guacamole and criolla sauce. melted cheddar cheese, crispy bacon, and green onions. cheddar cheese, mozzarella, provolone cheese and parmesan. Mustard sauce, crispy bacon and green onions. Melted mozzarella cheese, arugula and parmesan cheese. Served with two sunny side up eggs. Select top sirloin and is topped with sautéed blackened shrimp and butter parmesan sauce. 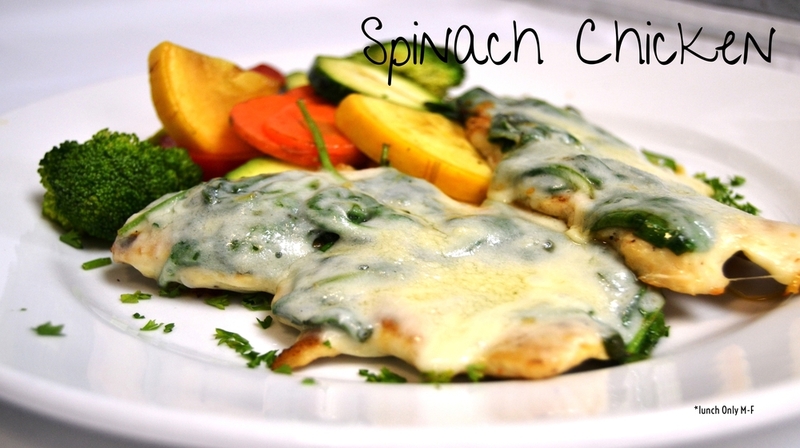 Grilled Chicken Breast topped with sautéed spinach, ricotta, melted cheese and grated parmesan cheese. Chicken breast in a melted cheddar cheese and green onions. Served with a two sides. Salmon fillet cooked to perfection, topped with a delicious herbs creamy sauce. Served with a two side. Served with a two side. Salmon fillet cooked to perfection with a delicious BBQ sauce. Served with a side. Ribs basted with BBQ sauce. Served with your choice of two sides. "LA PASTA de la Abuela"
Delicious homemade spinach & ricotta cannelloni. Potatoes hand rolls pasta dumplings. Filled with authentic mozzarella and ham. Steak, ham, cheese, egg, roasted red pepper, heart of palms, green olives, lettuce, tomatoes and mayo. Steak, ham, cheese, egg, lettuce, tomato, and mayo. Steak, ham, cheese, egg, lettuce, tomatoes, and mayo in a toasted miga bread without crust. Chicken burger, provolone cheese, caramelized onion, crispy bacon, arugula and mayo. Breaded steak or chicken with lettuce, tomatoes, and mayo. Argentine chorizo sandwich with mayonnaise, lettuce and tomatoes. Half pound Angus burger topped with cheddar cheese, sautéed onions, arugula, tomatoes, egg, and mayo. Served with Fries. Half pound Angus burger topped with BBQ sauce, mozzarella cheese, bacon, sautéed onions. Served with Fries. Half pound Angus burger with provoleta cheese, roaested red peppers, arugula and mayo with criolla. Served with Fries. A juicy all-beef burger classic with cheddar cheese, lettuce, tomato and onion. Served with fries. A juicy all beef burger classic with guacamole, cheddar cheese, lettuce, tomato and onion. Served with two fries. Tomato sauce, mozzarella cheese, and oregano. Tomato sauce, mozzarella cheese, tomato slices, and oregano. Tomato sauce, mozzarella cheese, ham, hearts of palm, roasted red peppers, boiled egg, olives, and touch of salsa golf. Tomato sauce, mozzarella cheese, ham, roasted pepper, olives. Skirt Steak, chinchulines, sweetbread, argentinean sausage, blood sausage and your choice of side. Served with your choice of two sides. Lomito de cerdo, chicken breast grilled, flat meat. Served with your two sides. Fried Calamari, Shrimp, Grilled, Tilapia. Served with your choice of two sides. Chicken breast, green bell pepper, onion, flour tortilla, pico de gallo and guacamole. Spinach flour tortilla spread with cream cheese & guacamole, lettuce, with rice, tomato, onions, carrots and corn. The tender pork is marinated in a delicious sauce and served with corn tortilla, pineapple, cilantro chopped, onions, lime and tomatillo sauce. Shrimp, beef, chicken, onion, bell pepper, red bell peppers and six flour tortilla, pico de gallo and guacamole. 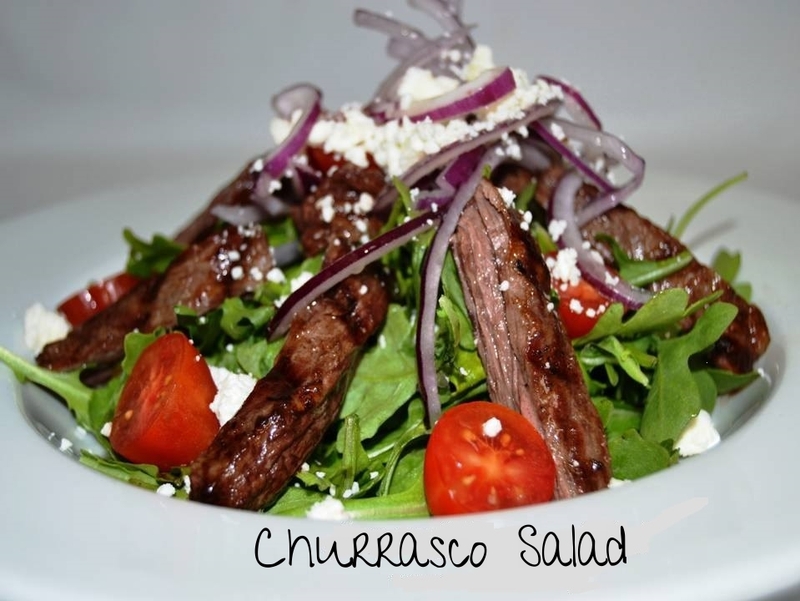 La Barra is an authentic Argentinean/Latin cozy family style restaurant. "Our greatest satisfaction is to see our clients come back and make them feel like home"